Caiga Quien Caiga (Whoever May Fall) is the most successful entertainment format to have hailed from Latin America. 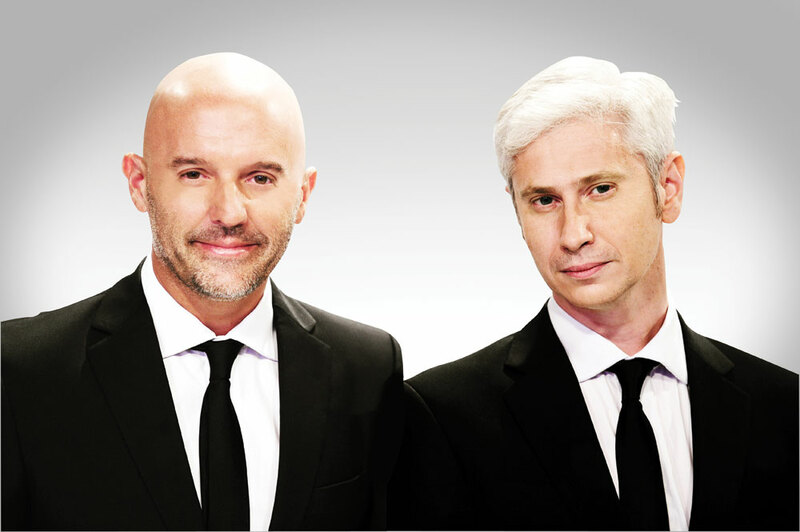 The International Emmy Award-winning current affairs format was created by Eyeworks’ Cuatro Cabezas and started out in Argentina in 1995. Local versions have been made all over the world. The show’s executive producer, Ernesto ‘Cune’ Molinero, talks to TBI about its success. What has made CQC such an international success? CQC is a weekly show that lives out of the political and current information of the country in which it is broadcast. It focuses upon politician’s national and international agenda, which is approached in a unique, ironic and intense way. We aim to get from public figures answers to the most compromising or usually unasked questions. We have come across world political leaders, and not even cowered in front of them. CQC is not just a weekly news report, it is a format that demands explanations and information constantly, not just repeating the news, but digging into it. At what point did you realise this was going to be such a hit show? There were a couple of key moments for us with CQC. The first sign was when we saw that our reports or questions were being shown on other programs, as news themselves. We knew right there that we had the media’s attention. Then there came a moment in which politicians were clearly recognising our reporters and trying to avoid them, or preparing specifically for their questions, that was as honour! Did you anticipate it travelling around the world to the extent that it has? The format started as a local idea. Everyone likes to dream of having created a show THAT good that it might become an international success, but there is no way in which we could have thought of it from the beginning. In the moment we started receiving international attention, we knew we had something big on our hands. Do the local versions look very different from the original show? Depending on the country it might slightly change. But the main features stay put. Key characteristics or features, such as news treatment, the approach to information, the show’s priorities, are not much different from the original version, since it’s that core that makes the format. What are the key challenges in adapting the format for local markets? Cutting to the chase, the key challenges is: good casting, for both hosts and reporters. The show won an iEmmy in 2010, did that help raise its profile? Yes, it definitely did! Having a recognition form the Academy is an honor to all the hard work we’ve done through the years… it’s having a ceritficate of quality at an international level! Of course it helps rising the show’s profile. Is CQC a format that can run and run – will it still be around in ten years? Well, it has been around Argentine TV for fifteen now so… mission accomplished! We hope it will be around for good. There has been much talk of a US version of the show, what is the latest news with that? It’s on stand by for now, we haven’t been able to move forward with it yet. Are there any other international versions in the pipeline? Currently undergoing negotiations with Mexico, Colombia and Paraguay. The show is being broadcasted in many countries already besides Argentina, including Brazil [see video below], Spain, France, the Netherlands and Israel. Is CQC the most successful format to have ever come out of Latin America? There are many Latin American formats that have been or are successful. CQC is one of them, but we wouldn’t want to brag about it… we’re good, it’s not for us to decide whether we are the best or not.